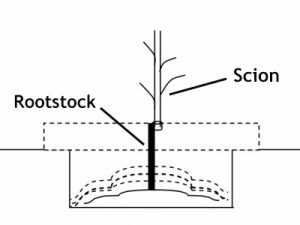 What Are the Different Root Stock Preferences for Fruit Trees? Part 1….The Rootstock…. this controls the growth habit of the tree. Part 2 …The Scion wood this also means the variety of the tree (like “Honeycrisp”, for example). Also referred to as Budagovsky 9 or (B-9), Malling 26 or (M26), Geneva 41 or (G41). 8-10’ Tall, very easy to prune, thin and pick, need support. These trees will want to produce fruit in the 1st or 2nd year Instant gratification. 1-2 bushels in 3-4 year. M-7 or EMLA 7 Malling 7. 15’ tall, do not need support, fruit production 4-6 years, about 3-4 bushels. Columbia Crab is one of the primary Rootstocks. 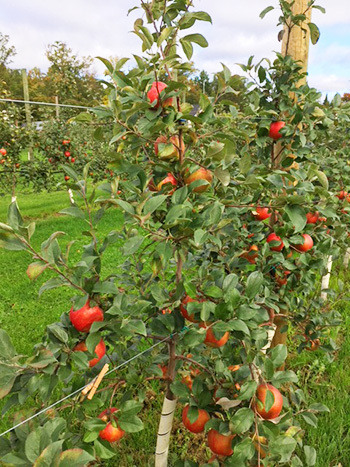 25’ tall, does not need to be supported, hard to prune and pick, produces 7 bushels of apples. 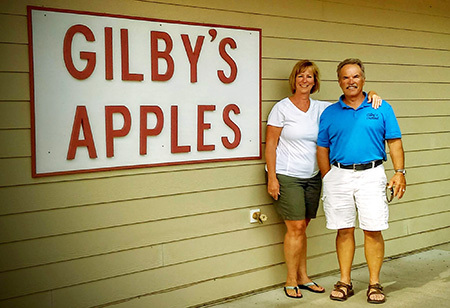 Why Grow Dwarf Apple Trees?